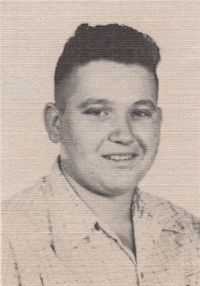 Obituary – Beckham, Joseph Leonard « Perry High School Alumni Association, Inc.
﻿Football 45-46, Baseball 46-47, D. E. Club 47-48. Joseph Leonard Beckham, 85 of Perry passed from this life on Tuesday, July 12, 2016 in Oklahoma City, OK with his loving family by his side. Services have been entrusted to the care of Palmer Marler Funeral Home of Perry and a service celebrating his life will be held 2pm on Friday, July 15, 2016 at the First United Methodist Church in Perry. Burial will take place prior to the service and will be held at 1pm Friday at Grace Hill Cemetery and is open to the public. Public visitation will be held at the funeral home on Thursday, July 14th from 10am to 8pm. Joseph Leonard Beckham was born on July 30, 1930 in Perry, OK to Ben and Alice (Foster) Beckham. He graduated from Perry High School in 1948 and enrolled at Oklahoma A&M. In 1952 he enlisted in the US Marine Corp. where he served stateside as a truck driver with the 7th Engineering Battalion during the Korean War. Following his honorable discharge in 1954, Joe returned home and enrolled at the OSU School of Business. In 1957, he began a 20 yr career with the Perry Fire Dept. where he worked as a fire fighter and arson investigator. In 1964, Joe married the love of his life, Doris “Dodie” Cantrell. Joe and Dodie spent 52 years together and had two children together, Joe and Shaunna. Desiring to better serve the community, he returned to OSU where in 1972 he received a degree from the School of Fire Protection. Joe enjoyed sharing his knowledge of fire protection. He spent several years writing for the Redbook, a fire service manual and also became a certified instructor teaching International Fire Service Training at OSU part-time. He also enjoyed having local Boy Scout troops come to his home where he taught them fire safety and first aid. 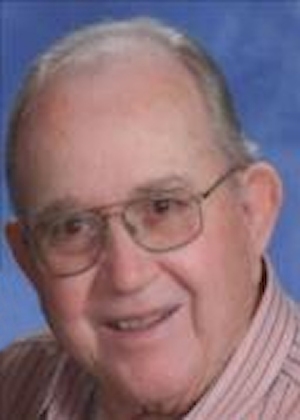 Joe spent several years working as a salesman for American Fire and Equipment, selling fire engines and equipment to fire departments all over the central U.S. In 1980, Joe accepted a position as a Fire Safety Specialist with Charles Machine Works/Ditch Witch, where he was employed for two decades before finally retiring for good in 1999. Joe Beckham was a kind man with a servant’s heart. He served the citizens of Perry throughout his career, but more importantly, he served the Lord and the congregation at First United Methodist Church by being involved as a member, trustee and board member, and United Methodist Men’s Ministry. He was also a member of the Perry Lions Club, Masonic Lodge, International Fire Service Assoc., and the International Assoc of Arson Investigators. Joe was a family man who enjoyed hunting, fishing, and coaching his daughter’s softball team. He was never happier than when he was watching OSU Cowboy Baseball or when he was surrounded by his grandchildren. He was preceded in death by his parents, brother Ben Beckham Jr, infant sister Ruth Janet Beckham, and nephew Henry Beckham Sr. He is survived by his wife Doris “Dodie” Beckham; two children: Joe Beckham and wife Angie of Perry and Shaunna Smith and husband David of Stillwater; A brother Jack Beckham and wife Carolyn of Tomball, TX; Eight grandchildren: Colton, Brayden, Jakob, and Audrey Beckham and Daysha, Daylon, Beckham, and Solomon Smith. Donations may be made in Joe’s name to the FUMC for the Prayers Quilters and sent in care of Palmer Marler Funeral Home. PO BOX 189, Perry, OK 73077.